For the perfect trip to Quebec. Choose your destination based on your tastes (culture, outdoor activities, rest and recreation, etc.) as well as on accessibility. Determine if your abilities have changed, especially if your limitation is related to an accident, illness or aging. The more research you do on accessible locations, the more accessible your vacation will be. Even if you find an accommodating hotel, it still has to be located in an area with accessible restaurants, activities and transportation. 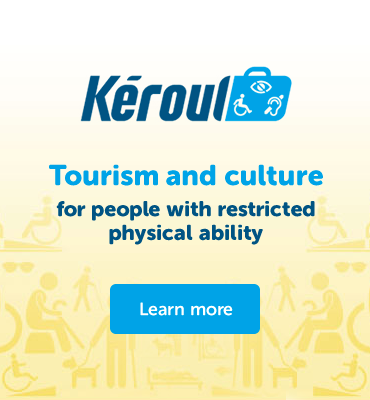 Don’t hesitate to visit forums, blogs and Web sites on accessible travel in order to view the comments of other disabled persons. Be sure the information is current. Accessible hotels generally have only a few rooms set aside for disabled guests, so it’s always best to book in advance and request a booking confirmation if possible. It’s also useful to know that urban centres offer a greater number of accessible rooms, that rooms with two beds are limited, and that accessible bathrooms sometimes come equipped with a shower or with a bath and this may vary from location to location. If you require a bath seat, mention this to your hotel establishment. Be sure to specify your limitations and any special needs when booking your lodgings and transportation. Also, contact the establishment again to confirm everything 48 hours in advance. Knowing what to expect will make life a lot easier once you reach your destination. Often there is more than one way to get somewhere. Some locations are much more accessible than others. Will it be easy for you to travel to and from your destination? And what about travel when you are on site? These are all things that need to be checked out! Even the best laid travel plans can go awry. What will you do when faced with an unexpected situation or obstacle (for example, a transportation strike, a wheelchair battery that suddenly stops working, a booking error, a room with a bed that isn’t what was promised)? Be sure to have a plan B or the name of someone you can call for help making alternative arrangements. Vacations are meant to be fun but are not always worry free. Keep in mind, however, that travel means you will step out of your comfort zone and that every problem has a solution. So you’ve planned your trip carefully, you’ve consulted other disabled persons, and you have a plan B. Now it’s time to enjoy your vacation and that includes using humour to cope with any unforeseen situation that may arise. After all, such events are all part of the travel experience.